So Bug and I have been reading a story about snow. We’ve had so much fun with it. No, we don’t get a lot of real snow in Texas. In fact, I think we’ve actually only been in snow very few times. But that doesn’t mean we can’t make snowmen. So here’s what we did and how you can to. 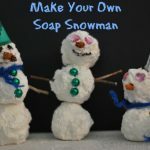 Any other small items you’d like to decorate your snowman with (pipecleaners, googley eyes, etc). We used string for a scarf. 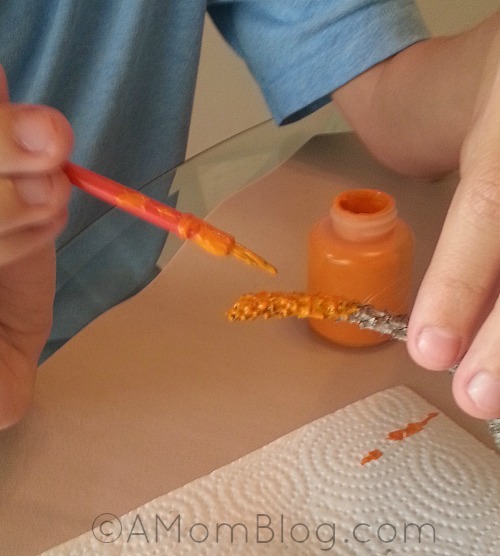 Paint the small twig orange first so it will have time to dry while you work on the rest of your snowman. 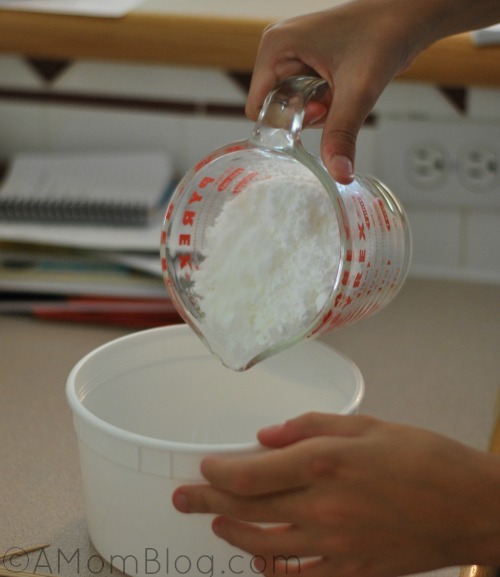 Add powdered soap and warm water together in a mixing bowl and mix on low until mixture becomes dough like. 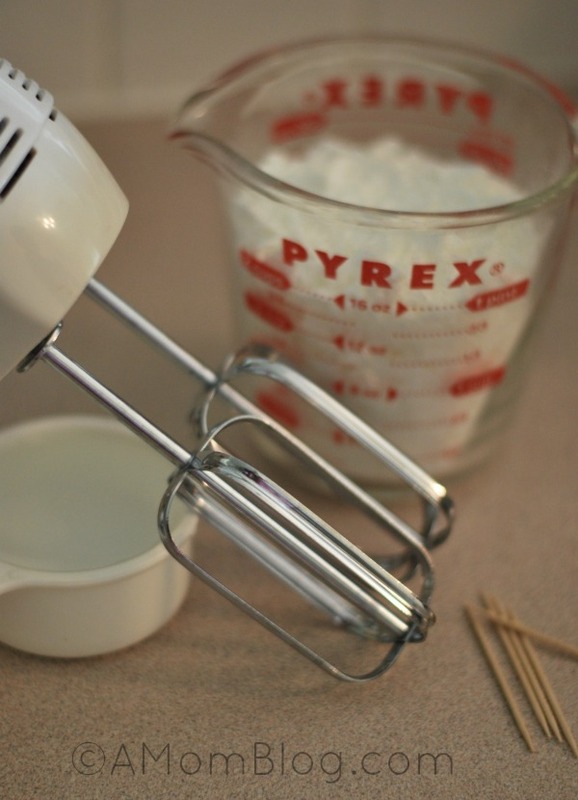 Form mixture into 3 balls – large for the bottom, medium size for the middle and a smaller one for the top. Stick one toothpick half way through the bottom snowball. Then add the middle size snowball onto the top of the toothpick. Then repeat for the middle to top sections. Then you get to the fun part of decorating them as you like. Take your twigs and place one on each side for the arms. Place the orange little nose on the face and buttons on the middle section or if you plan to use them for the eyes you should do that now too. 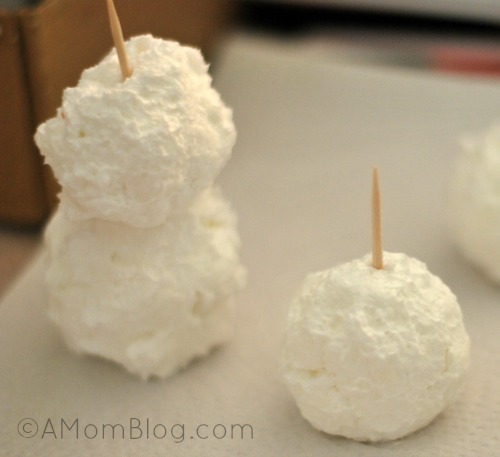 Once you’ve got your snowman looking like you want it to, make sure and let it sit and dry for a couple of hours. 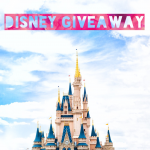 Yes it requires a little patience on your kiddos part. 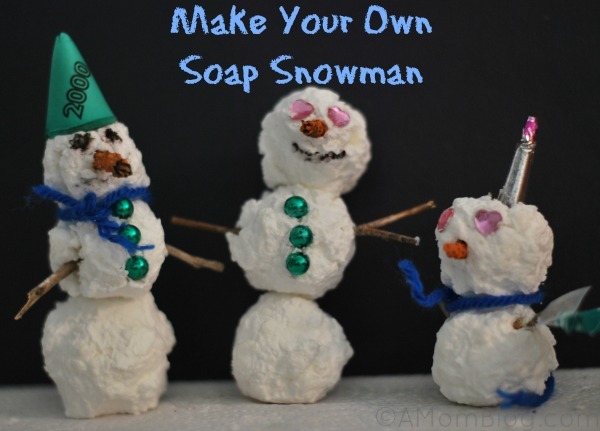 And TADA, your soapy snowman is ready! Ours were kinda small ’cause we made several of them. Bug really likes his. And what a great activity it was for him. Always great when I can get him to try out the texture of new things. 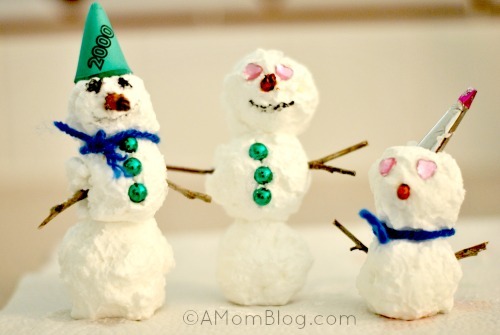 Let me know if you make these with your little one and how they turn out. If you do, make sure you come to the facebook page and share your photos. You know how much I love photos!